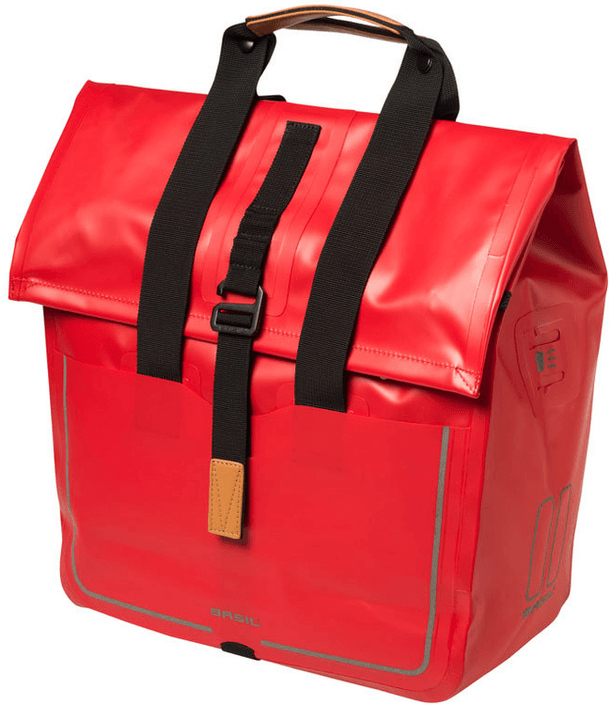 With the folding closure, the welded seams and the waterproof polyester your goods will stay dry in these panniers. With help of the hook-on system the panniers are easily mounted on your luggage carrier. With the hook-on system you can easily attach these panniers on your luggage carrier in seconds and remove just as quickly. When walking you can put the hook-on system simple in the panniers. 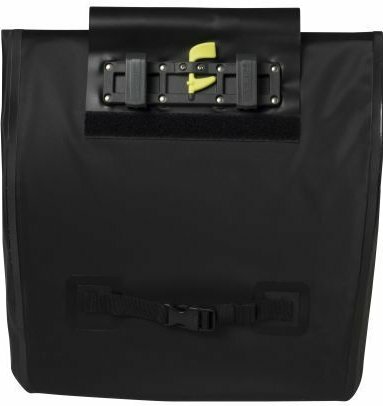 The waterproof polyester, the folding closure and the welded seams ensures that your goods will stay dry even after a downpour. 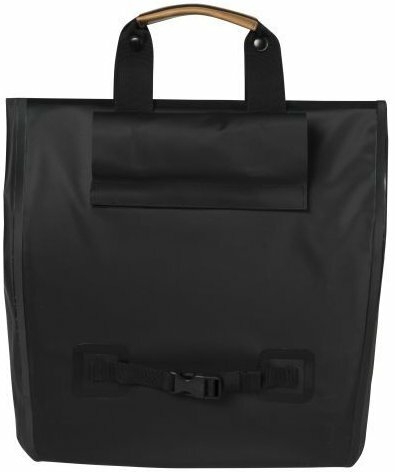 The Basil Urban shopper offers a capacity of 20 liters. 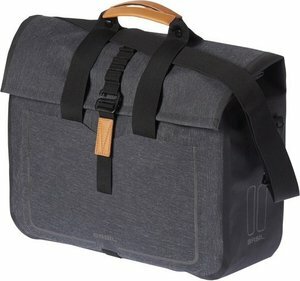 This is a really good pannier. Fully waterproof. Very large and sturdy. Made of good quality material. Easy to use. The only thing I would add if I could is a long handle/shoulder strap. I'm delighted with this pannier. It's a good size and convenient to use for business / shopping. Fitting is excellent: easy and secure. It would be good to have an additional holder inside for paper documents. The internal zipped pocket is good for small items. The external pocket seems to hold items securely too, but maybe could be a bit deeper. It feels like it will last a good long time, too!